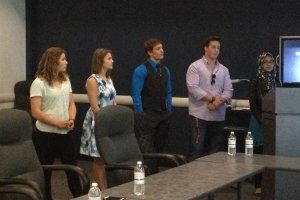 The Saskatoon Police Service Youth Advisory Committee (YAC) was started in July of 2013, and is recognized as a group built by our city’s young adults. There are approximately 15 members from various high schools, in YAC including RAP (Restorative Action Plan) workers. The group meets with Cultural Resource Officers every four to six weeks. Its purpose is to locate and target the barriers between police and youth. They are a group committed to bridging the gap between local law enforcement and young adults, through communication and raising awareness of issues that exist within this demographic. In 2015, YAC conducted a survey between different high schools in Saskatoon, which asked students about their relationships with the police and how improvements could be developed. The sample questions in the survey looked into the current police interactions with youth, and the impact this leaves on young people’s perception of the Saskatoon Police Service. They presented their findings to the Board of Police Commissioners in June of 2015. 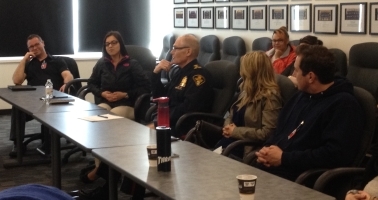 Using this information, the goal of YAC is to increase the amount of youth awareness with police, in hopes that this will foster enhanced relationships between young adults and the police. For more information on YAC, contact the Cultural Resource Unit at (306) 657-8625.